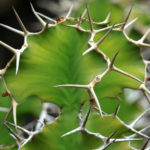 Euphorbia grandicornis Goebel ex N. E. Br. 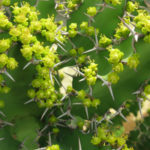 Euphorbia grandicornis is an upright multistemmed succulent shrub, up to 6.6 feet (2 m) tall and about the same in width. The stem is up to 4 inches (10 cm) in diameter, 3 or 4 winged, irregular, constricted in broad, twisted, with triangular segments about 6 inches (15 cm) long. Leaves are tiny, scale-like between the spines. The spines are grey or brownish, joined, forming a horny continuous ridge, up to 3 inches (7.5 cm) long. The flowers are brilliant yellow, growing just above the spines. 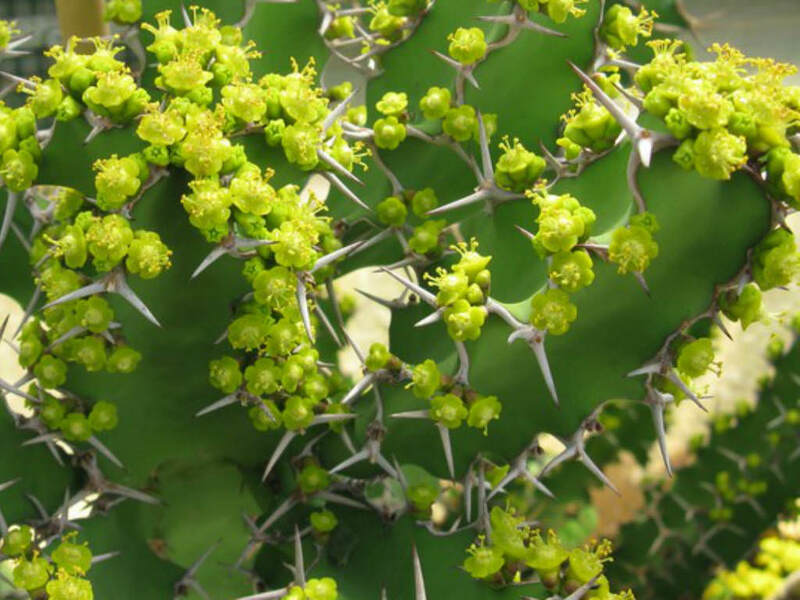 Euphorbias are very easy to care for. They require a little pampering to become established, but once they are, they are self-sufficient. 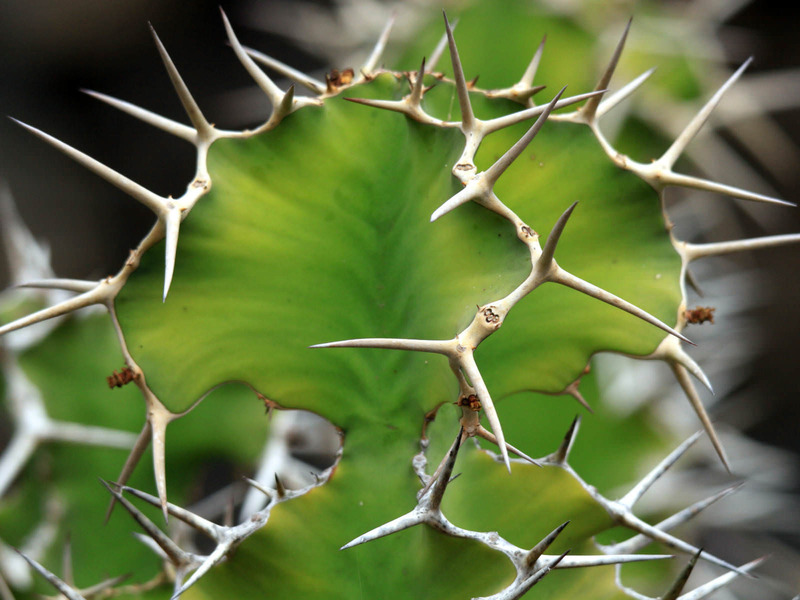 In fact, more die from too much care and watering than from neglect. Euphorbias need well-draining soil and lots of sunlight. They are not particular about soil pH, but they cannot tolerant wet soil. 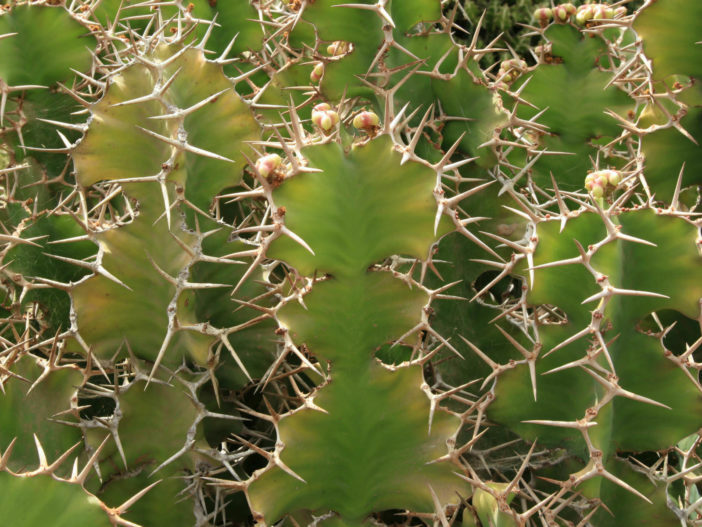 Unlike most succulents, Euphorbia does not handle long periods of drought well. It may need weekly watering during the summer. Water whenever the soil is dry several inches below the surface. Water deeply, but don’t let them sit in wet soil, which can cause root rot. Add some organic matter or fertilizer to the planting hole. 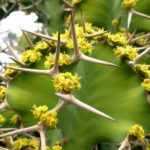 If you are growing them in containers or your soil is poor, feed with a half-strength fertilizer monthly… – See more at: How to Grow and Care for Euphorbia. 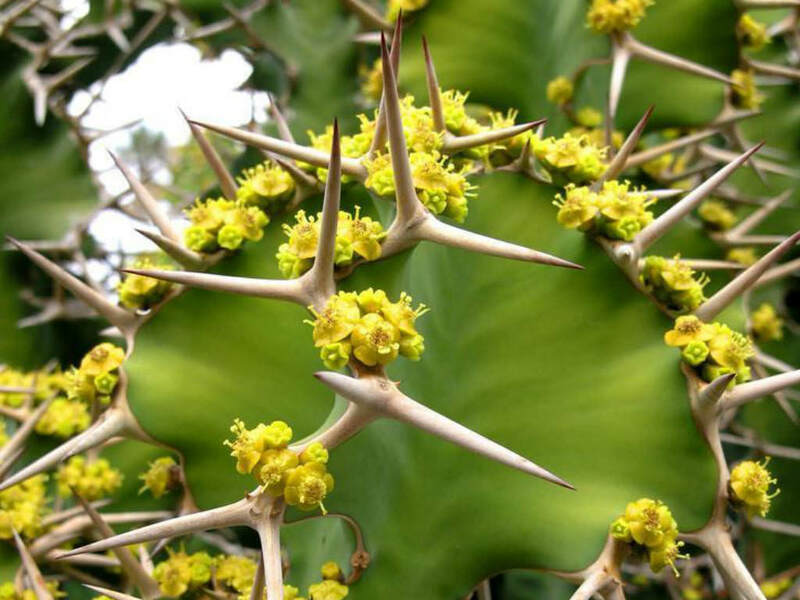 Native to South Africa, Swaziland, Mozambique, Kenya.